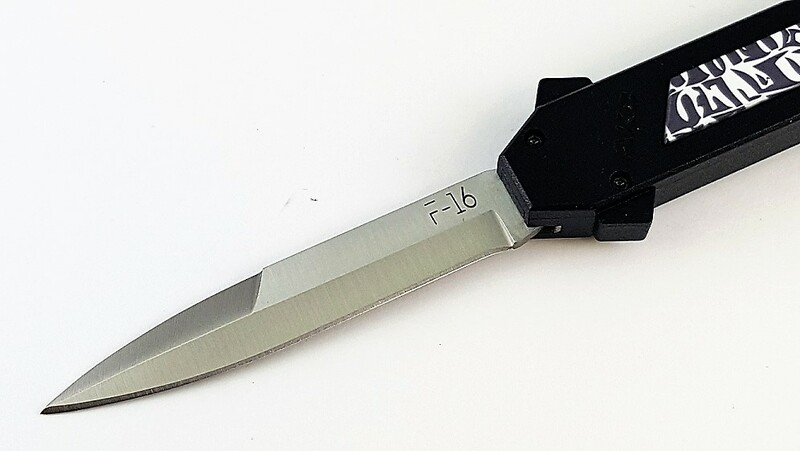 The Tribal Inset AKC F-16 Dual Action (D/A) OTF Automatic Knife is a brand new knife model from the AKC/ Campolin family in Italy! 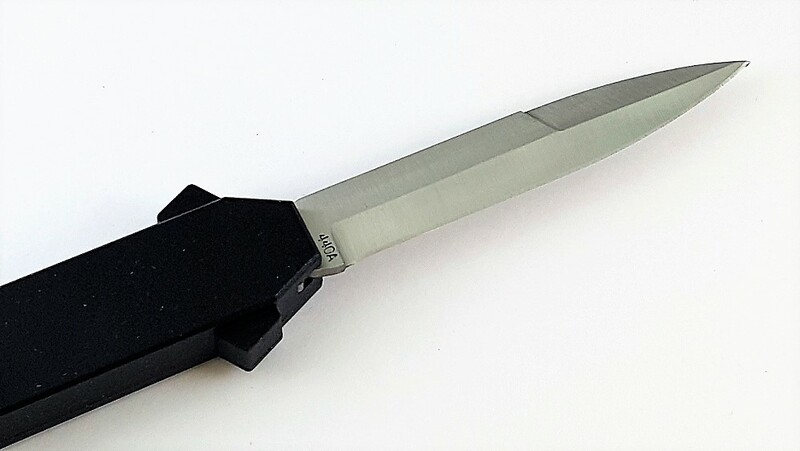 This OTF Knife looks similar to a classic Italian stiletto but this model fires in and out of the handle with the push of a button. The handle is Aircraft Aluminum anodized in a black finish with Tribal Pattern inset. 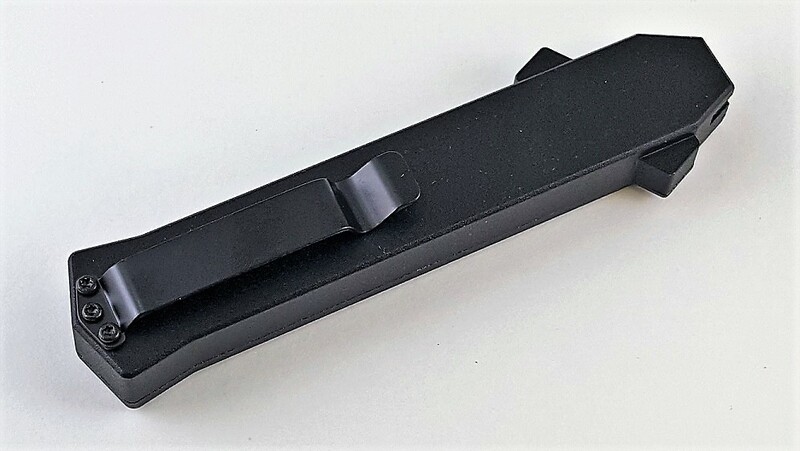 The right "ear" of the handguard is the firing button. 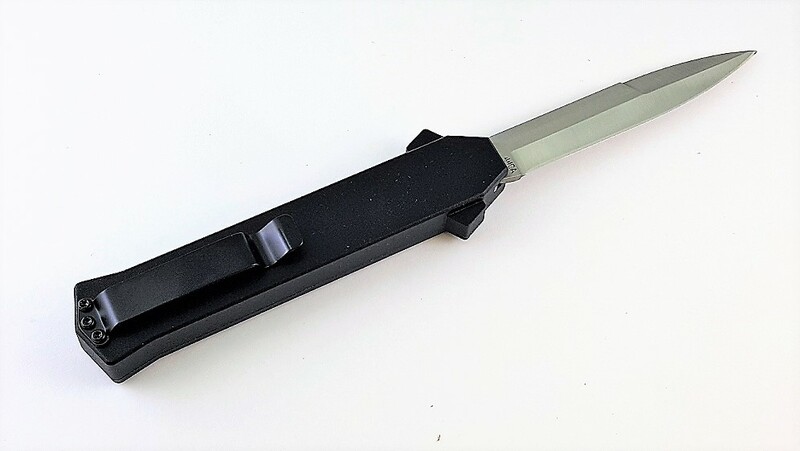 Satin finshed bayonet style blade of 440A Stainless Steel flies out of this handle and retracts just as quickly! Stamped F16 on front blade tang and 440A on back blade tang. 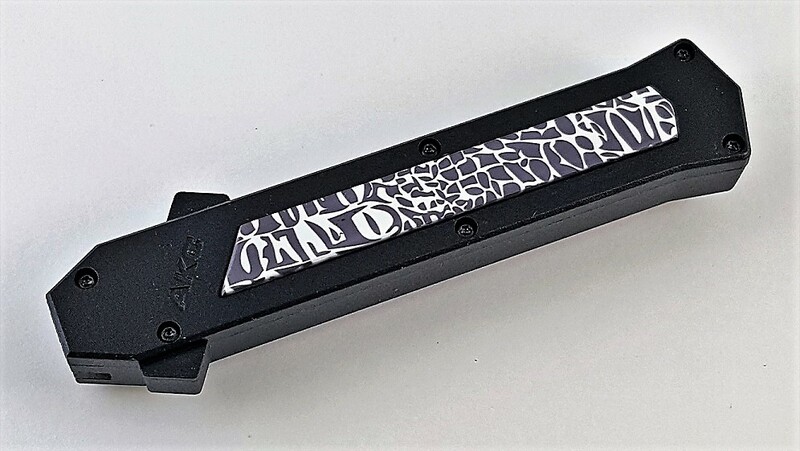 Sturdy black anodized stainless steel pocket clip finishes this exotic OTF knife perfectly. Overall Length: 8" Blade Length: 3.4"